Adafruit’s comic reading list: Hubris by Gene Cravens #adafruitcomics « Adafruit Industries – Makers, hackers, artists, designers and engineers! 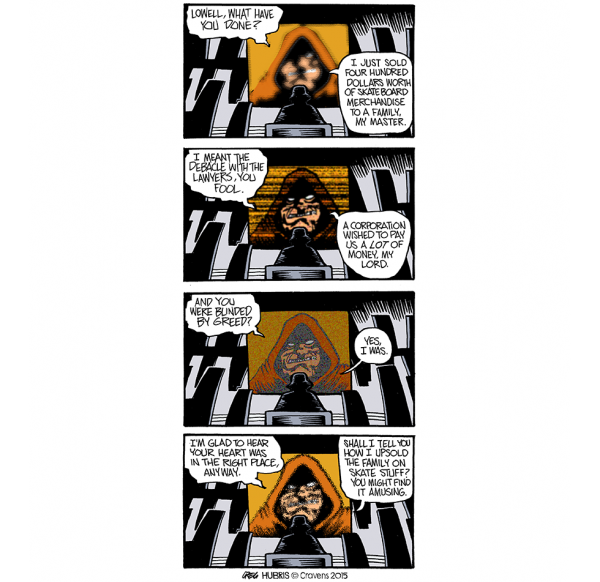 A new edition of Adafruit’s comic reading list — this week it’s Hubris by Greg Cravens, the fourth and final installment in a series of webcomics recommended by Adafruit forum support guru Mike! Hubris Fortis owns the Outdoor Galore shop. He has a climbing wall on the outside of his house so he can climb back to bed after catching his morning paper. In his quest to find The Next Big Thing, he invented skateboard kayaking and downhill skiing…downhill *water* skiing. This one started as gag-a-day, but picked up a storyline when Lowell, manager of a big-box sporting goods store whose stated intention is to put Hubris out of business, became Hubris’s neighbor. 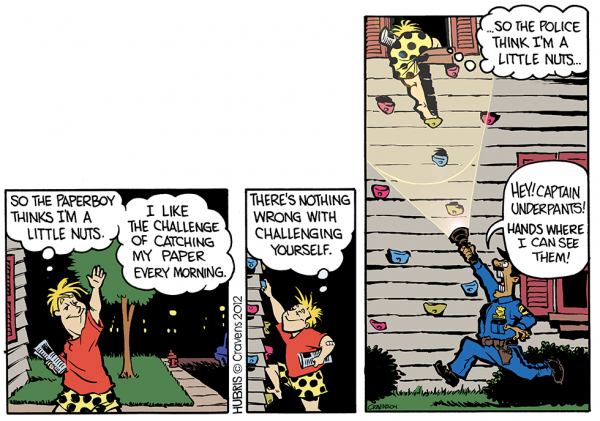 That led (by what passes for logic in the strip) to The Great Stanky Creek Outdoorfest. No one in the strip has ever said, “hold my beer and watch this,” but only because they can’t be bothered with the ‘beer’ part. Check out our previous posts Bee and the Puppycat, Spacetrawler, Grrl Power, Krazy Kat, She-Hulk, King City, The Whiteboard, and Vexxarr!